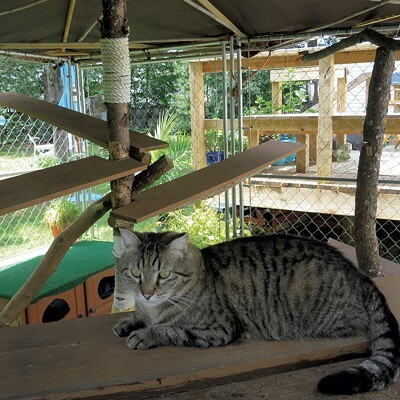 Habitat: The Catio | Habitat | Kids VT - small people, big ideas! 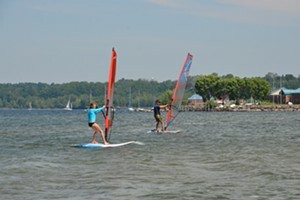 Diane Sullivan and Matthew Thorsen are well aware of the challenges presented by owning cats with an insatiable desire to explore the outdoors. "When cats go outside, you not only have to worry about them getting injured, eaten or eating something poisonous," explained Sullivan, art director for Seven Days and creator of the Kids VT animal-centric coloring contest. "You have to worry about them killing a bunch of birds, too." 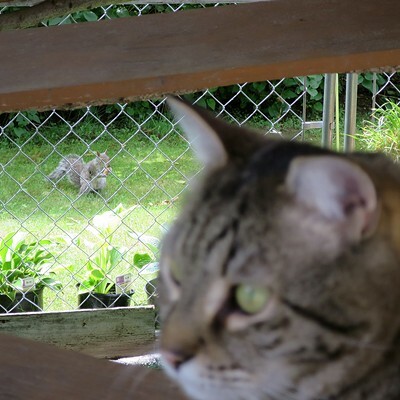 After suffering a few pet tragedies while living near a busy intersection in Burlington, the couple brainstormed a nifty solution that allows their cats to wander outside but keeps both the felines and local wildlife safe from harm. 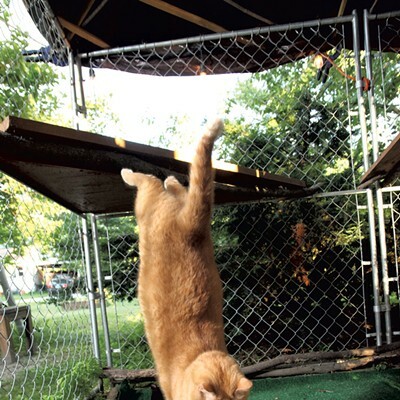 "I started building the catio as soon as we moved into our house in Essex," said Thorsen, staff photographer for both Seven Days and Kids VT.
"The catio" he speaks of is an enclosed outdoor structure connected to the couple's basement window by an aboveground tunnel, which allows the cats to venture into the backyard without roaming wild. 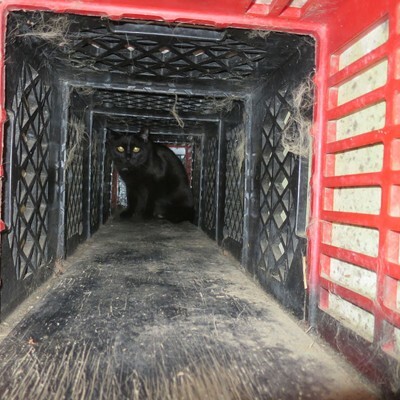 The couple crafted the tunnel from milk crates with their bottoms removed, lined up side by side and wrapped in canvas, with cat doors at both ends. A 10x10-foot outdoor dog kennel that looks like a taller-than-average chain-link fence comprises the center of the catio. Similar kennels can be purchased from most pet or hardware stores. 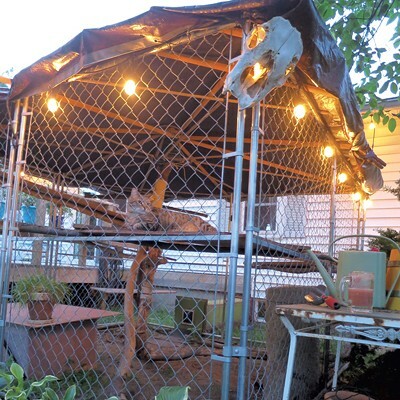 The rest of the structure is made from an impressive array of repurposed or readily available materials creatively assembled to make the kennel "cat-proof." 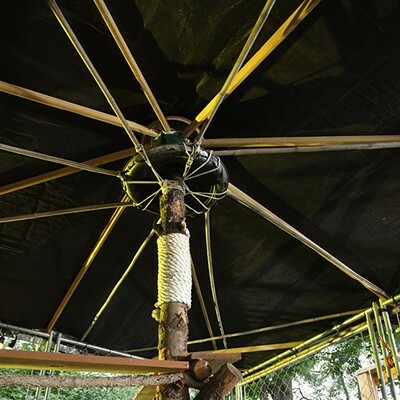 To prevent the cats from climbing out, the couple laid a large mesh sheet and tarp over its top, which is supported in the center by a large tree branch from the yard. 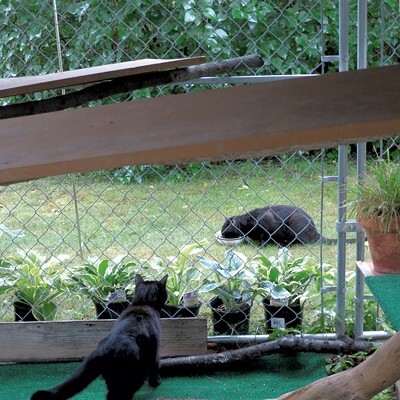 Lengths of 1x2-inch lumber run from the perimeter of the kennel to the central branch for extra support and resemble a rustic patio umbrella. Zip ties and rope secure the tarp cover to the top of the kennel. 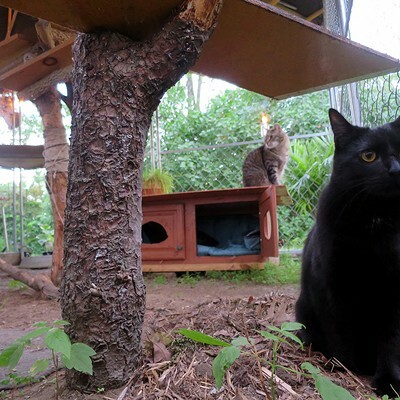 The interior of the catio is filled with additional tree branches and repurposed wood and furniture. The materials have been cleverly arranged to create multilevel ramps and shelves for exploring. Many of the tree branches are wrapped in rope, providing the pets with plenty of scratching posts. 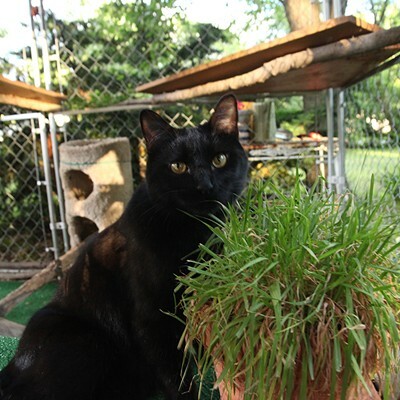 On a sunny June afternoon all three of the couples' cats — Shogun, Lamar and Esteban Buddy Christmas Pickle — could be seen frolicking throughout the catio. 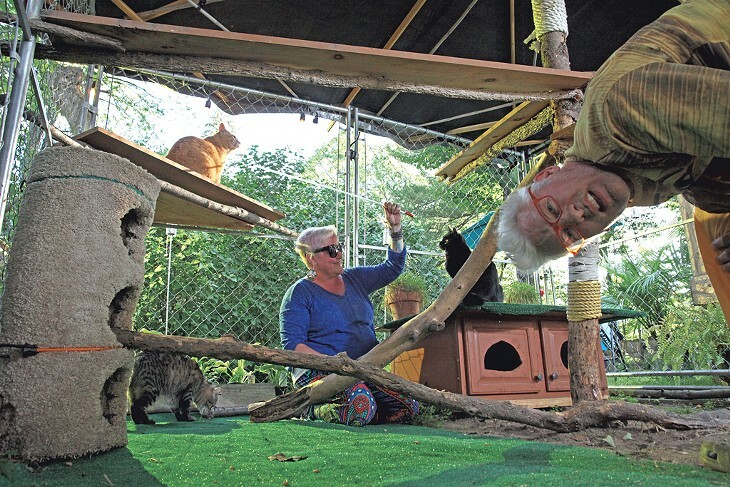 Not only does the creative dwelling bring the feline-loving couple some much-needed peace of mind, said Thorsen, "It also gives the cats a chance to escape from us."